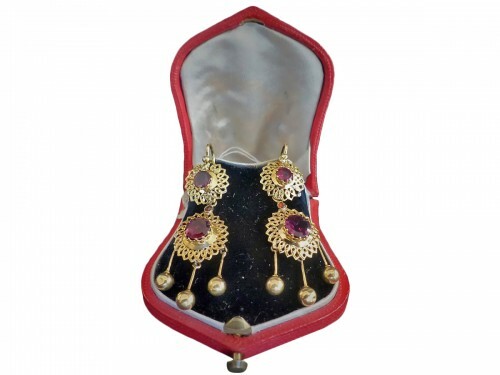 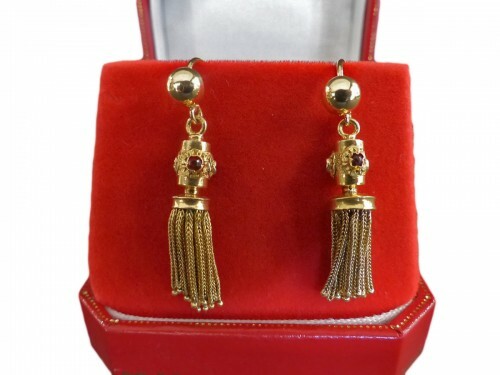 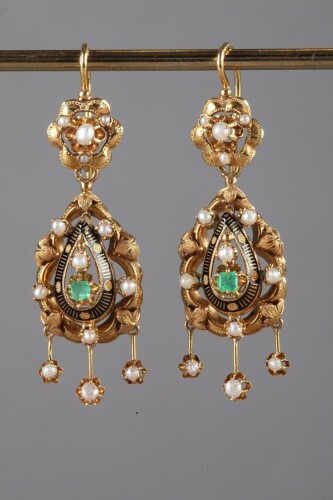 Pair of pendant teardrop earrings in yellow gold sculpted with leaves and inset with pearls. Three pendants with pearls hang from each teardrop. 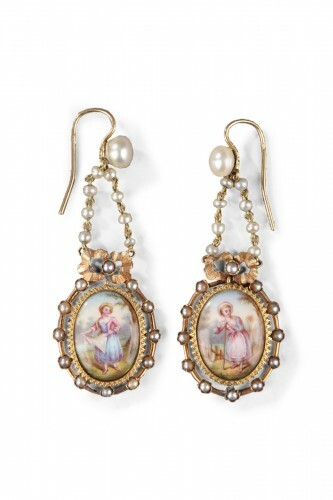 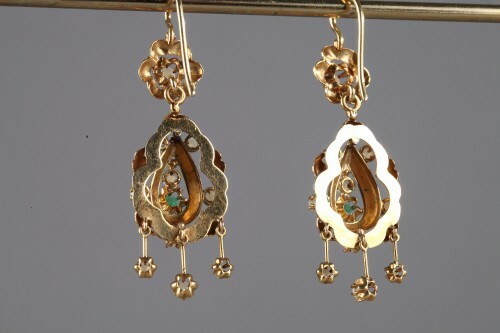 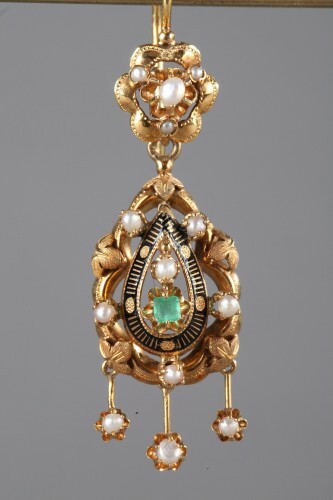 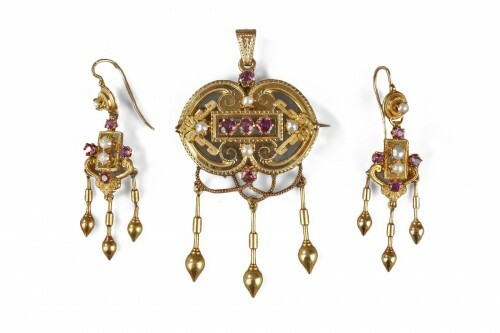 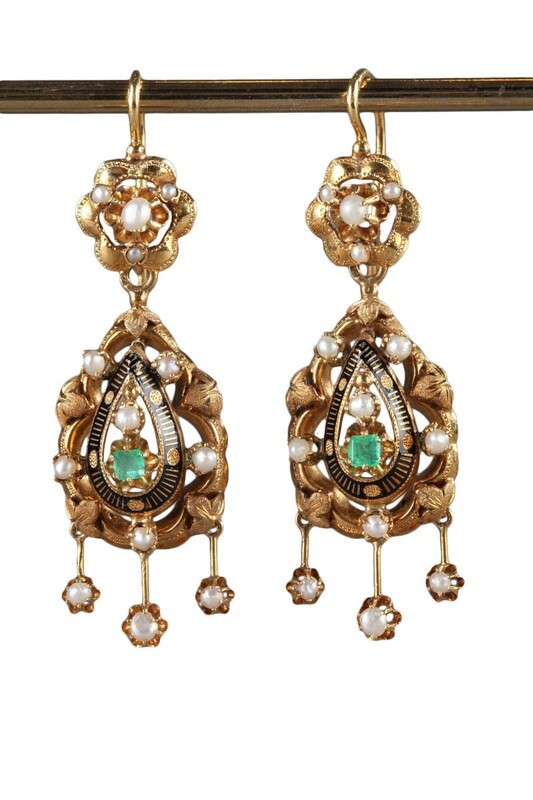 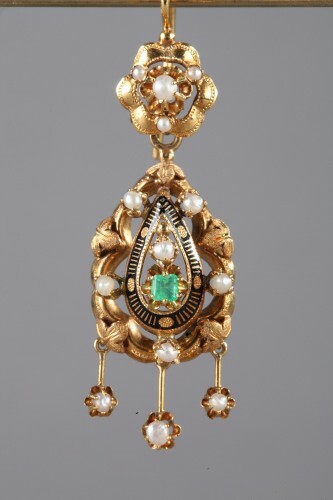 In the center of each earring is a smaller teardrop accented with black enamel and inlaid with a pearl and an emerald, most likely of Colombian origin. 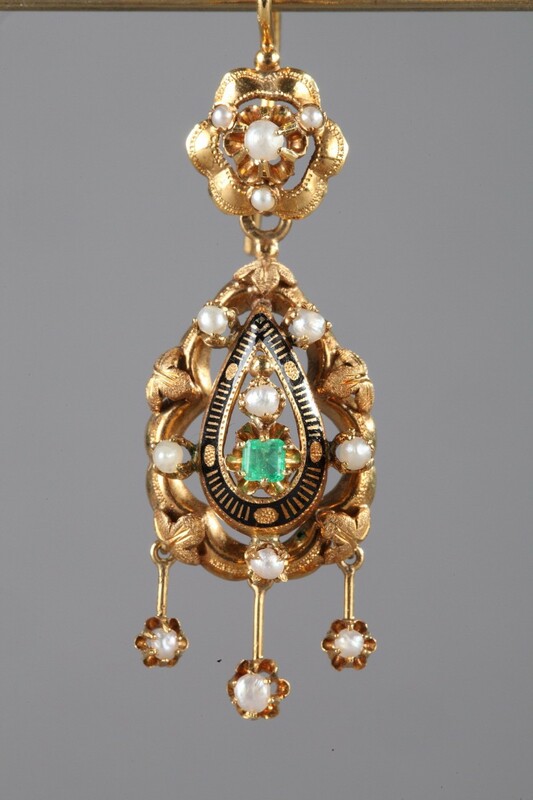 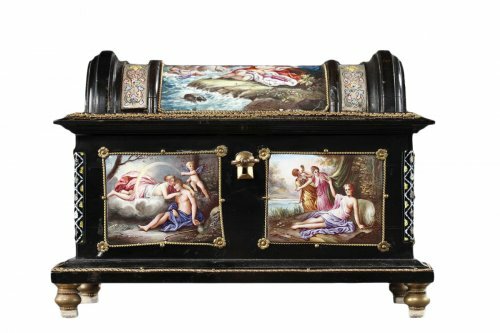 Period: Napoleon III. 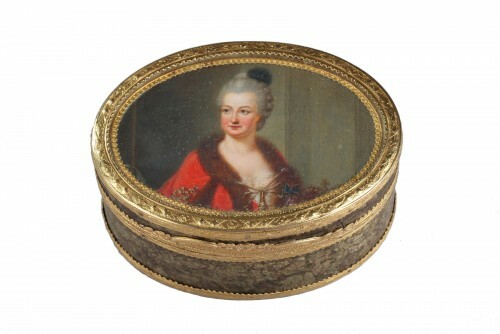 Circa 1860-1870.